Do you need a suitable crane unit for a small worksite in Melbourne, Sydney or Adelaide? Jib cranes are an ideal option for individual workstations or where there is insufficient space for a travelling overhead gantry crane. A favourite for many construction, industrial or production sites around Melbourne, Sydney or Adelaide, jib cranes have a capacity range from 250kg to 10 tonnes. You can choose from a free standing or wall mounted unit, or they can be custom designed for special applications for your side in Melbourne, Sydney or Adelaide. 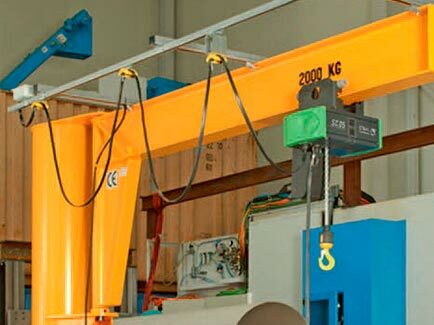 Jib cranes are fully motorised including the slew or a combination of manual or motorised motions, while the hoist unit is available in normal headroom and low headroom configuration. 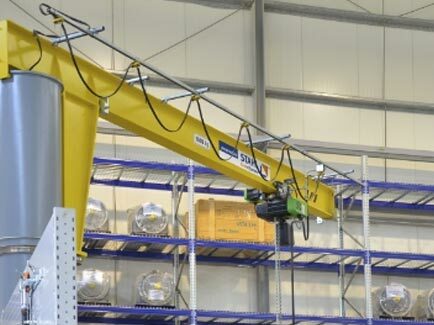 We carry free-standing jib cranes for sale with up to 360 degrees of motion – so if you’re considering jib cranes for production, manufacturing or other industrial needs, call Crane Systems Australia.